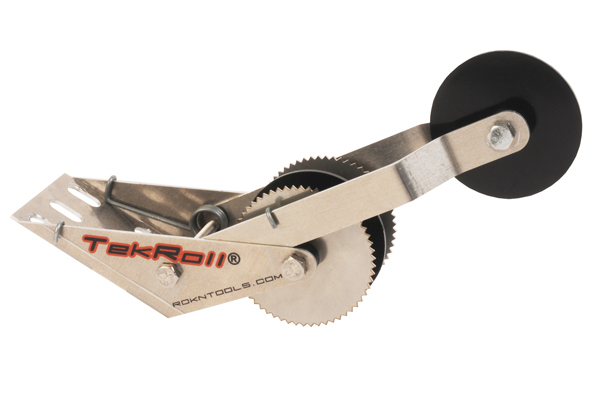 TEKROLL ® is a revolutionary addition for your drywall tape applicators (Banjo ®). 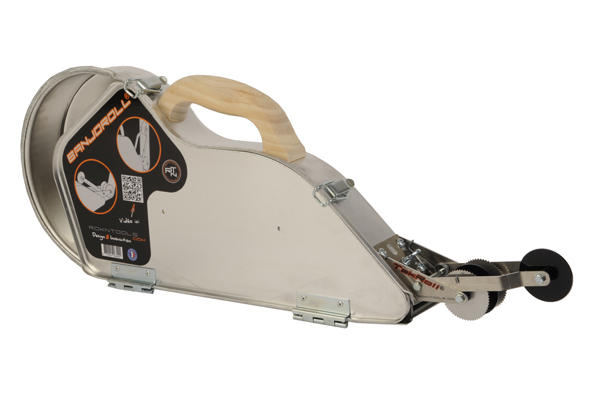 1) It is the only tool designed to be assembled on all aluminum banjo ® types of global market. 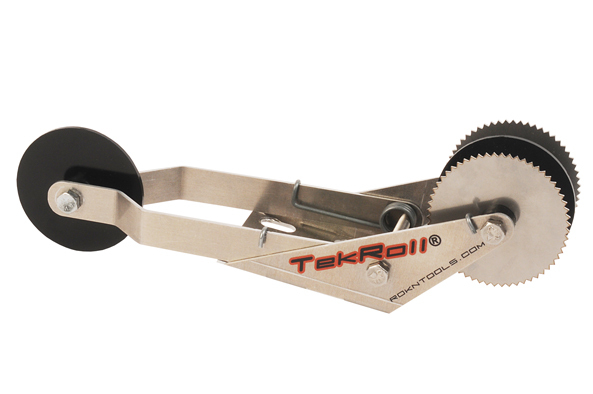 The mounting plate TEKROLL ® is composed of a multitude of slotted or round holes allowing TEKROLL to fit all major brands of tape applicators market. TEKROLL fixing is provided either by reusing the original bolts banjo or with hardware supplied with TEKROLL. 2) TEKROLL ® is the only one with a tape corner wheel application, spring mounted and thus allowing the work with one hand. The system for holding the wheel in the folded position provided by the 2 springs ensures the cladding of the wheel against the body of the applicator (Banjo ®) ensuring optimal use of the tool for flat tape, the wheel not interfering with the operator falling back unexpectedly. In unfolded position, the retaining spring ensures proper pressure for bending the tape into the corner. In addition, being spring-mounted, operator can keep a proper position, working up to the ceiling or the ground, the angle wheel rotates freely on its axis keeping a permanent and sufficient pressure to folding the tape in the inside corner. So the spring helps keep a comfortable working and especially keep the second hand free, unlike other systems that require them to use both hands (bazooka, great banjo ...). 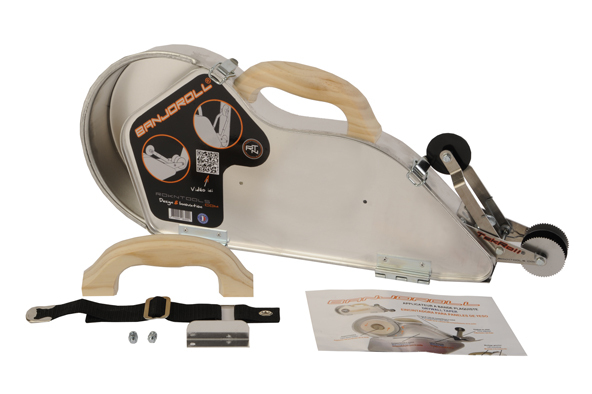 BANJOROLL® complete package drywall taper (banjo), fitted with Tekroll ®, allows you to coat and apply tape at the same time. - Clear and precise application. -The drywall taper is provided with two side handles (strap and wood).